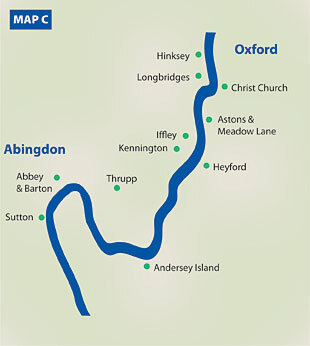 From South Oxford to Abingdon, the Thames is a sizeable river with grass banks in open country mixed with hard embankments in towns. Here, some sections of the Thames Path have a hard surface, and are more accessible for wheel-chair users. The tendency of the river to rise up and over its banks at least once a year has fortunately prevented over-development. 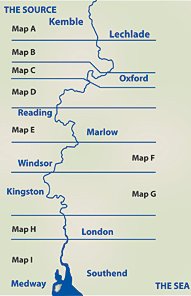 Wise action by local communities has preserved and recovered wildlife habitats within easy reach of the towns in the upper Thames Valley. Compared with the other sections along the non-tidal Thames, there are few old gravel pits that have been become nature reserves with public access.